I would like to inquire about your property Bayut - 104-Ap-R-0729. Please contact me at your earliest convenience. House2Home Real Estate Properties is pleased to offer you one of the best 2 Bedroom Downtown. Apartment situated on middle floor with 2 en-suit bedrooms and additional powder room. Excellent layout with balcony with community view without any constructions. With all kitchen appliance and chiller free of charge. Apartment has wonderful community and partial lake views. 1 minute walking distance to Fountain and landscape. 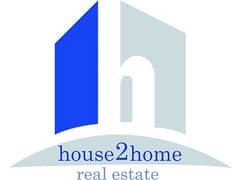 Whether you are interested in Buying, Selling, Renting or Leasing, house2home is the name. We can also assist you with managing your Investment Portfolio, arranging Local Bank Accounts & Property Finance. We assure you a personalized one-stop service for all your real estate needs.